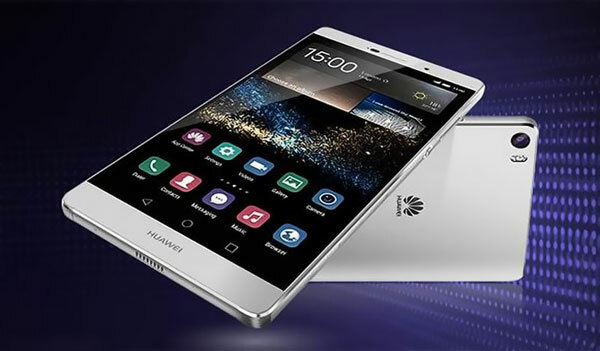 Huawei Chinese tech giant launched Huawei P9 and Huawei P9 Plus, smartphones features a dual 12MP primary camera, P9 version features a 5.2 inch Display and P9 plus model features a 5.7 inch Display, in addition to the Huawei P9 Lite. Now upcoming Huawei P9 Max Smartphone was spotted on GFXBench. Featuring 6.9 inch display, It will be equipped with Kirin 950 processor, XXL version, Positioned in the high-end design segment. According to the GFXBench, the Smartphone will have a 6.9-inch Full HD display with screen resolution 1920×1080 pixels, that supports at least 5-finger gestures. Bigger display than its previous released P9 series smartphones, More support to the internet browsing, playing video games, watching movies on smartphones, Now the company busy with working on P9 Max smartphone. It will feature an octa-core HiSilicon Kirin 950 CPU clocked at 2.2 GHz, This one of the drawbacks on the side of P9 Max smartphone, Huawei P9 and Huawei P9 Plus models powered by the Kirin 955 processor, one of the world’s best processors. But Full HD display, World’s third biggest smartphone maker, this is an excellent news for phablet users. On the side of selfies and video chat, Smartphone features a 16-megapixel Back camera with HDR photo, flash, face detection and auto focus. And secondary camera 8-megapixel. One of the best front camera smartphone for video chat, Smartphone supports Full HD video recording, Kirin 950 CPU coupled with an ARM Mali-T880 graphic card, Including 3 GB RAM, 32 GB inbuilt storage and the smartphone will be equipped with a 3,000 mAh battery. But there is no official word on the external Micro SD card. This device compatible with NCF, Wi-Fi connectivity, accelerometer, barometer, compass, GPS, Smartphone runs on Android 6.0 Marshmallow. Huawei P9 Max Successor to the P8 Max model. On the other side, P9 and P9 Plus models, P9 features a 5.2 inches IPS display, with screen resolution 1920×1080 pixel, which gives pixel density 424ppi and P9 Plus model features a 5.5 inch Super AMOLED display, powered by the Kirin 955 chipset, For video chat, smartphones feature a 8 megapixel front camera and Dual 12 megapixel primary camera with 4K video recording support. Huawei P9 model powered by the 3,000mAh battery and Huawei P9 Plus model powered by the 3,400mAh battery. For storing data, Huawei P9 version available with 32GB and 64GB storage options, MicroSD support (up to 128GB) and P9 plus model offers 64GB internal storage with MicroSD support (up to 128GB). Smartphone available in Quartz Gray, Rose Gold and Ceramic White colors.